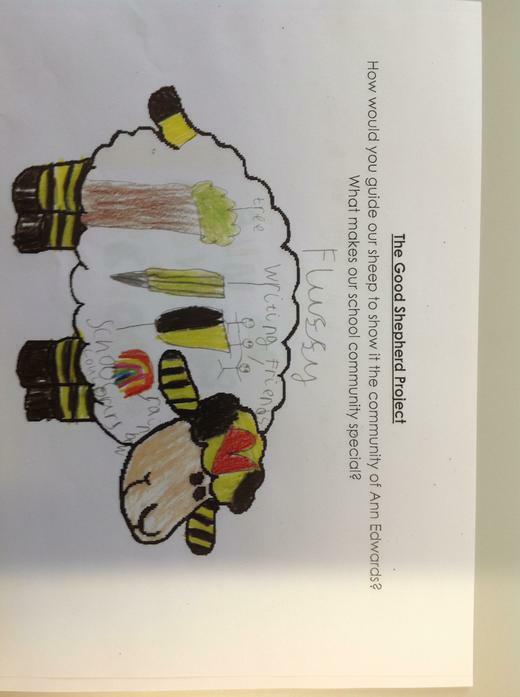 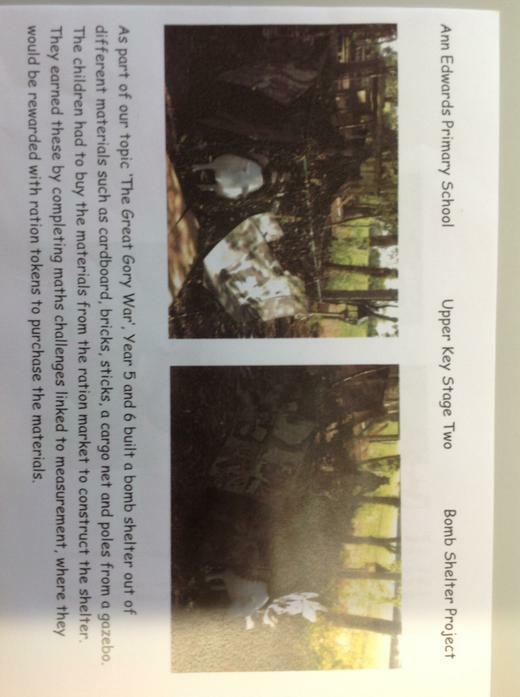 We were asked to take part in The Good Shepherd project by the Diocese of Gloucester. 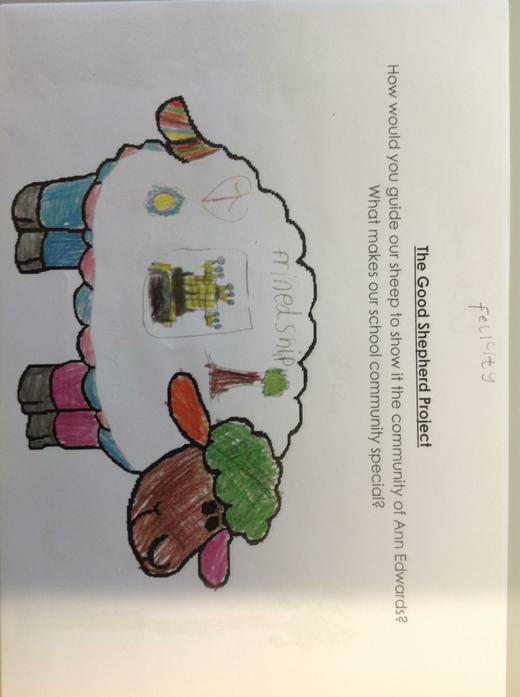 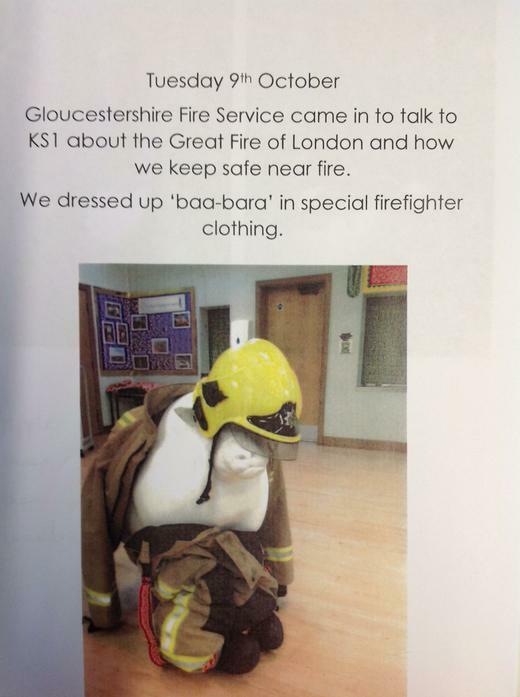 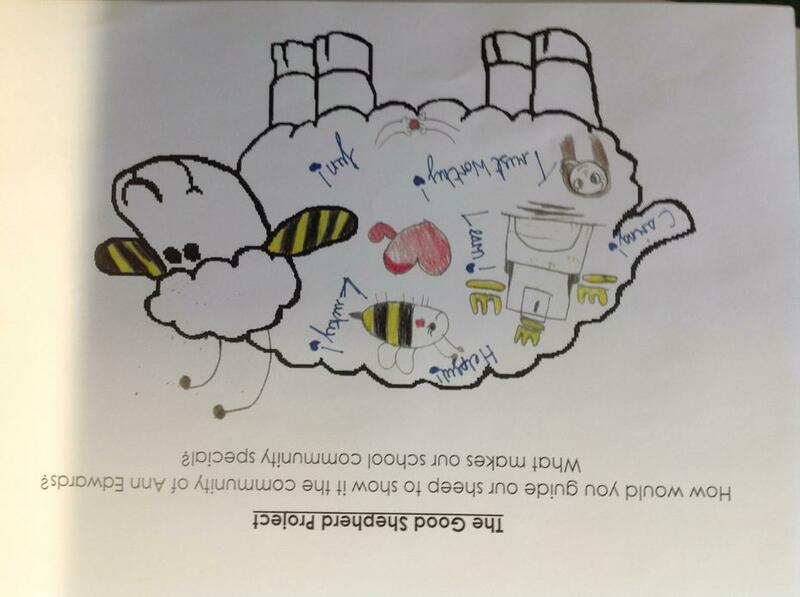 The aim of the project was for schools to recognise and celebrate being part of the Diocese of Gloucester family. 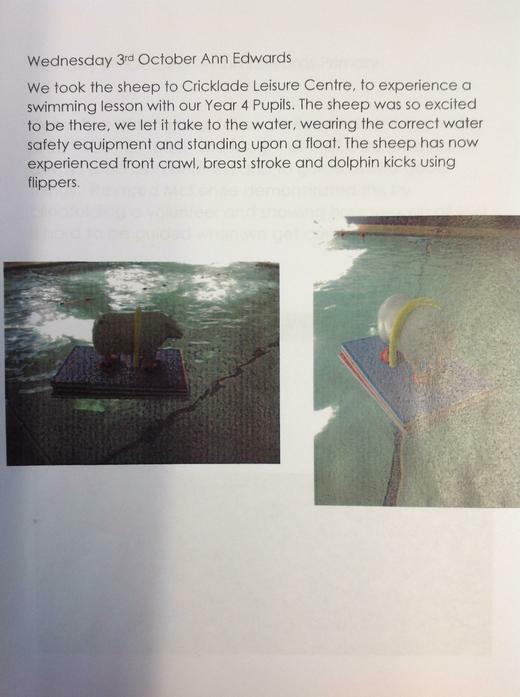 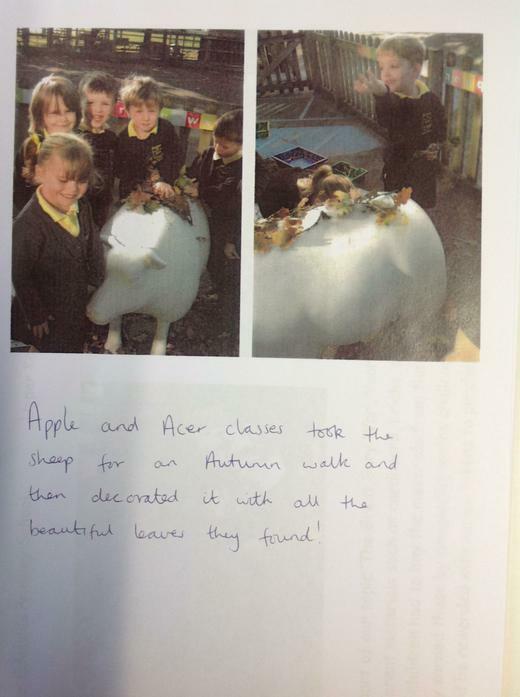 We were given a life size model of a sheep to look after for 10 days and to incorporate it into our daily school life. 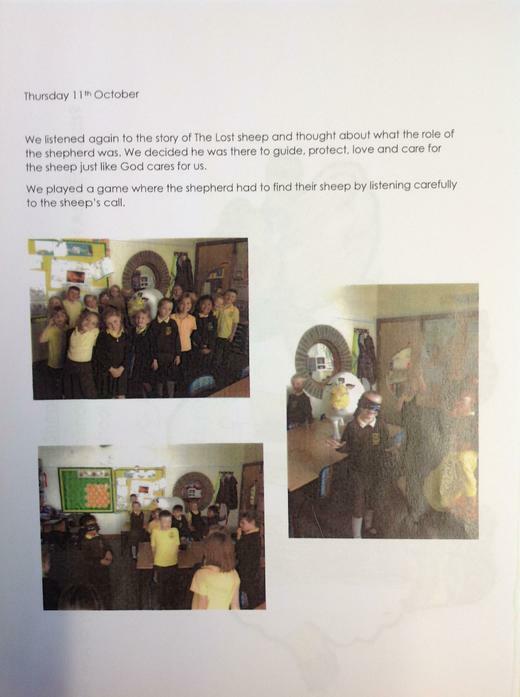 The reason for using a sheep was because they are often referred to in the Bible as God's people with God often being described as a shepherd. 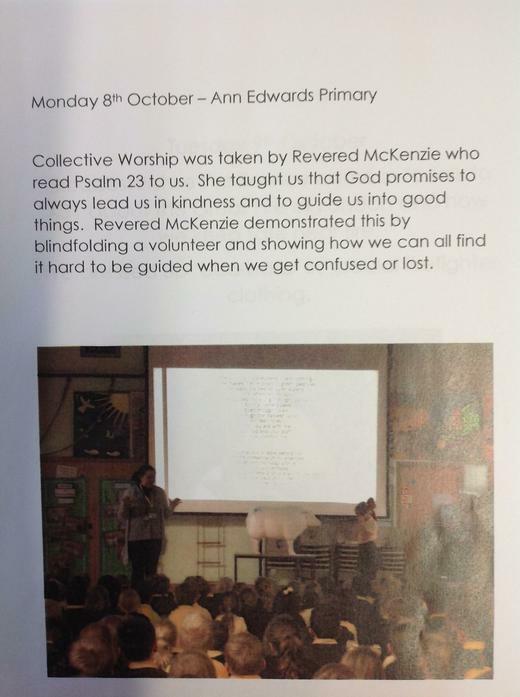 The Diocese of Gloucester wanted us to remember how we are part of their family as we are all part of God's wider family. 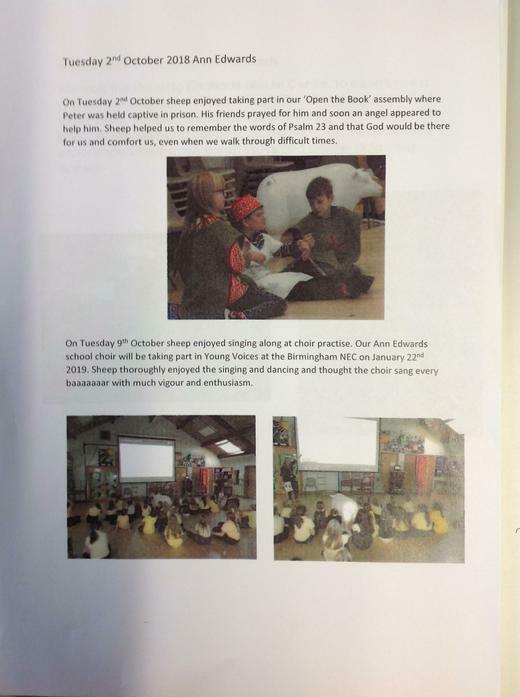 We had great fun including the sheep into our daily school activities as well as thinking about the story of The Good Shepherd during RE lessons. 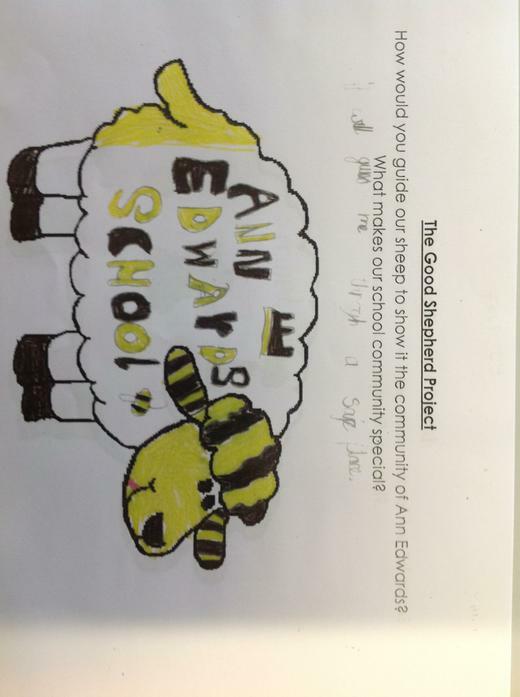 We came runner up out of the whole project - WELL DONE ANN EDWARDS!